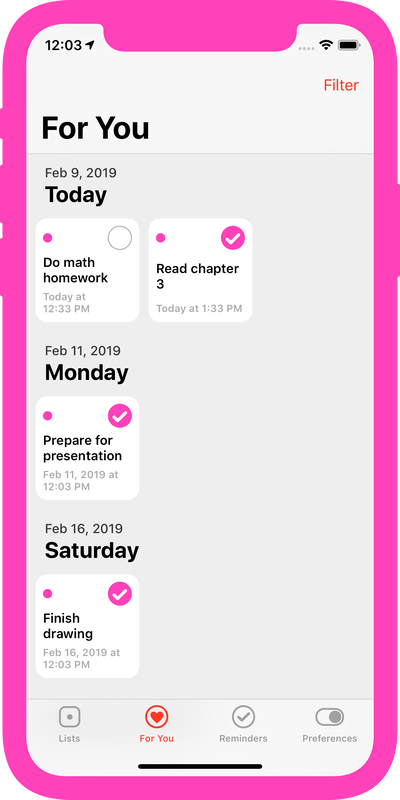 Memento uses the reminders that are already on your phone, so you can continue to use Apple's Reminders app in tandem. That means you'll be able to set up the app instantly. You can set an alert on important reminders. Use a time alert to be notified at the right time. Use location alerts to help remind you based on where you are. Notifications that give you all the information you need, and full control over what to do with them. By using Force Touch on the notification, you can see more details, complete, edit, snooze, or move the reminder with a single tap! 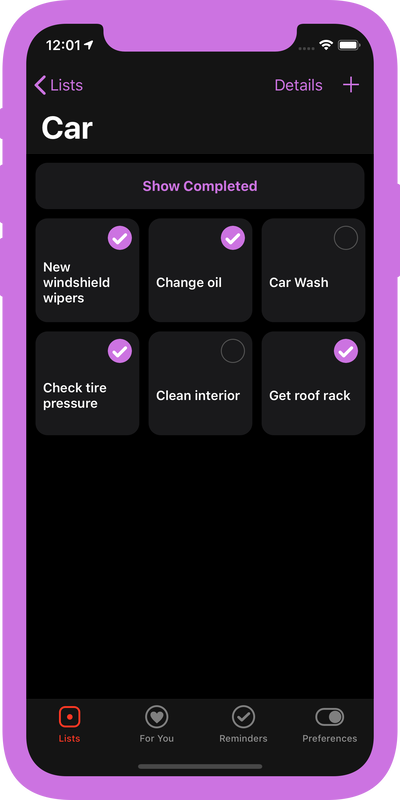 You can view your reminders in a grid layout, or go for the more traditional vertical list. Dark Mode optimizes the UI for use in low light settings. It also looks great on an OLED screen, and saves your device's battery. View your upcoming reminders in the For You tab to see what's most important right now. Set default alerts on reminder lists to have alerts auto-populated when you create new reminders. Add the Today Widget to your Home screen to keep track of your most important reminders on the go. Use the Remind Me share extension to create reminders quickly from other apps. The extension works with URLs as well as text. 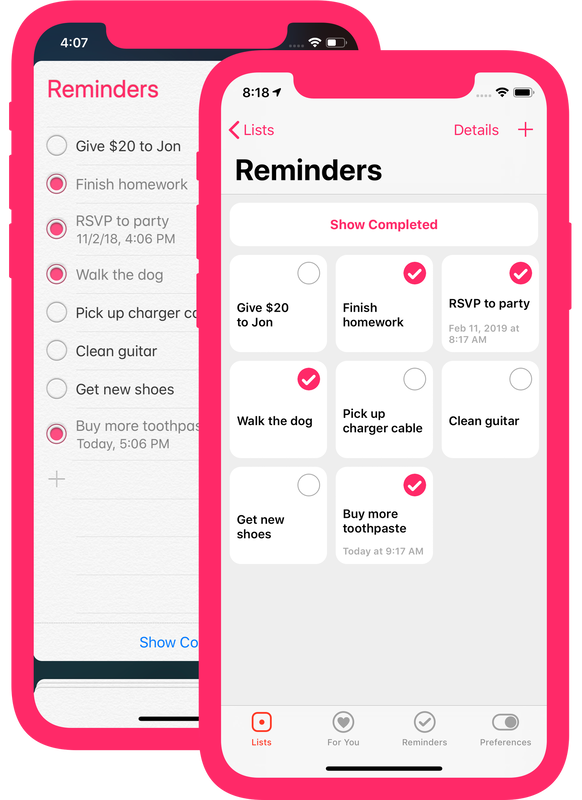 Use Memento's iMessage app to send reminders to your friends. App Icon Shortcuts allow you to create new reminders in a snap. Just use Force Touch on the Memento app icon. The contents of your reminders are never sent to our servers. Your reminders are only viewable on your own devices.